26th Annual Union Square Tree Lighting! There was nothing black about this Friday! 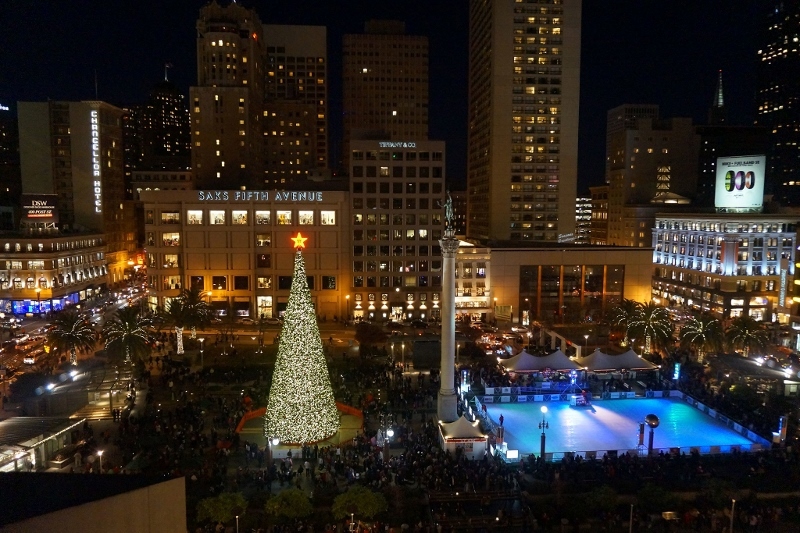 Sponsored by Macy's and considered a trademark tradition of San Francisco, Union Square held its 26th Annual Union Square Tree Lighting Ceremony this past Friday, November 27th! In the spirit of San Francisco's support of the environment, the as a beautiful & reusable 83 ft tree was decorated with more than 33,000 green-friendly LED lights and 1,100 ornaments! To celebrate the season of giving, the Paper and Packaging – How Life Unfolds ™ campaign, in conjunction with Macy’s, is offering #sharepackage, a pre-paid, pre-addressed postal box guests can fill for children in local children’s hospitals over the holidays. Paper and packaging play a major role during the holidays, often bringing loved ones together. Share a picture of your #sharepackage giving on social media to help spread cheer to children and families away from home at the holidays. Available at Macy’s Great Tree Lighting. 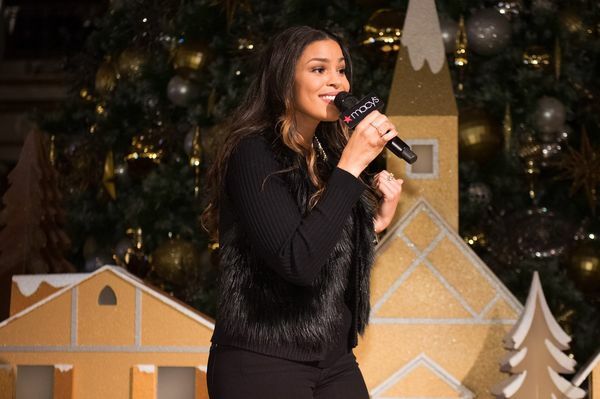 American Idol winner and singer Jordin Sparks was the guest of honor as she performed Christmas Songs for residents and visitors of SF alike. Local schools also performed, such as Vocal Rush (Oakland School of the Arts), Transcendence Theatre Company, & the Contra Costa Children's Chorus. 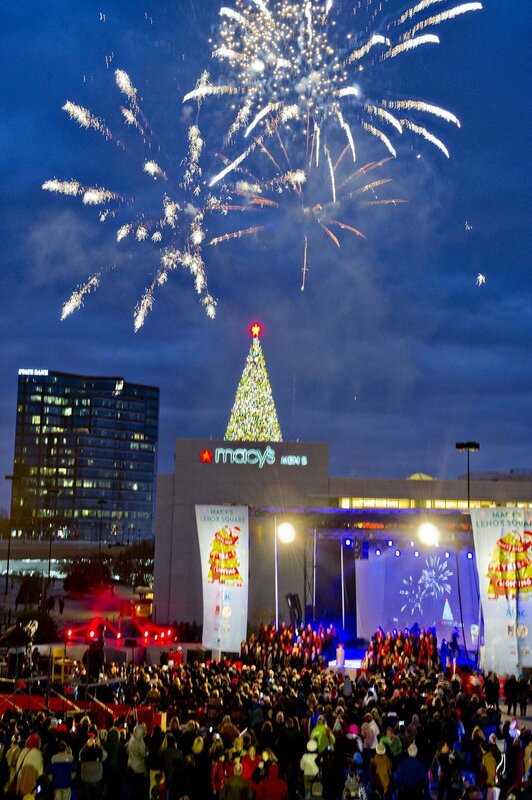 "Macy's is proud to continue the tradition of giving the Great Tree in Union Square, heralding the start of the holiday season”, said District Vice President Jane Mitchell. “Here at Macy’s, a big part of our holiday spirit is giving, not just to our loved ones, but also giving back to our communities. The tree is our annual gift to the city of San Francisco, bringing the nostalgia and magic of the holidays to residents and visitors alike." This year marks the eighth anniversary of the Macy's Believecampaign in partnership with the Make-A-Wish Foundation, inviting children of all ages to mail letters to Santa using Macy's Santa Mail letter-boxes. The Macy’s Believe mailbox is located on the 7th floor in the Macy’s Union Square store. All the mail that is put in that mailbox is sent directly to Santa at the North Pole. And, for every letter, Macy’s will donate $1 to the Make-A-Wish Foundation up to $1 million.